CHSR FM, your campus and community radio station, cordially invites you to The New CHSR FM Launch taking place Friday, March 13th at the Charlotte Street Arts Center. In attendance will be members of the Fredericton Business Community, Non-Profit Organizations, Campus Community Societies, Faculty, and Clubs and Societies. The Launch will demonstrate how CHSR is becoming the communications hub for all things campus and community. With the recent renovations in our studios, new recording sessions, and an updated website, CHSR offers an eclectic range of programming in both broadcasting and online services, that gives the campus and community a voice. 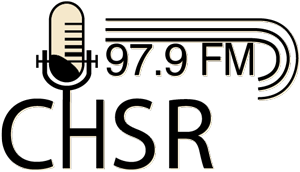 After 54 years strong, CHSR is now more relevant than ever in being the source for news, local music, and diverse cultural programming. We will have some finger foods, sandwiches, and a beer on us! If you plan to attend, please RSVP to stationmanager [at] chsrfm [dot] ca. We look forward to meeting you!